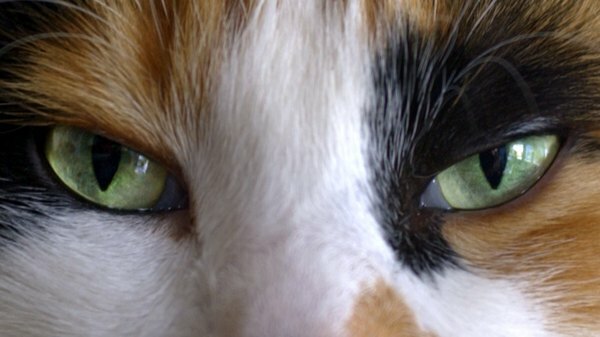 Terramycin treats your cat's eye infection. Terramycin is a topical form of the antibiotic oxytetracycline manufactured by Pfizer. It's an ophthalmic ointment for treating your kitty's eye infections. This tetracycline-class antibiotic kills a wide variety of bacteria and protozoa. If you suspect your kitty has an eye infection, consult your veterinarian; only use Terramycin if it's prescribed. 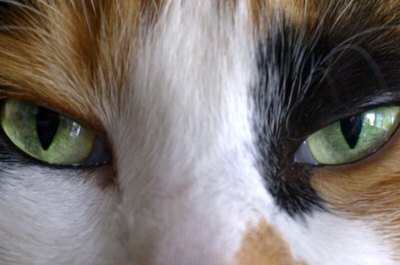 Terramycin is a topical antibiotic for use on your kitty's eyes. It treats superficial bacterial infections, including conjunctivitis, blepharitis and keratitis. It also helps corneal ulcers and some fungal and protozoal infections, too. Your vet should evaluate your kitty's condition and determine whether an infection is present and whether an antibiotic from the tetracycline class, such as Terramycin is called for. Only get dosing and other usage instructions from your vet, who is privy to the various individual factors that affect how you should use Terramycin on your kitty. Carefully follow the label directions, as well. Typical usage calls for direct application to the infected eye two to four times daily. Keep applying the ophthalmic antibiotic ointment for the full course of your kitty's prescription. Often, her symptoms clear up before the infection is completely eliminated; stopping too soon can lead to a resurgence of the infection, and the new bacterial growth may even be resistant to treatment with Terramycin and other similar antibiotics. Topical antibiotics are less likely to causing side effects than oral or injected antibiotics, and this holds true for Terramycin. Your kitty can have an allergic reaction if she has a hypersensitivity to tetracycline-class medications, though. Facial swelling, itching, rash, hives, labored breathing and anaphylaxis are symptoms of an allergic reaction, which requires emergency veterinary attention. Your cat may develop some minor redness or irritation at the site of application. If you think she's experiencing some sort of adverse reaction to the Terramycin, consult your vet. One reason it's important to have your kitty's infection evaluated by your vet before using Terramycin is that the bacteria's susceptibility must be determined. If you apply an antibiotic to microorganisms against which it isn't effective, you may inadvertently accelerate bacterial growth. Also, your vet needs to decide whether a topical approach to treatment is appropriate for your kitty's condition. This is generally only the case if your kitty's infection is superficial and very localized. Sometimes, an oral course of treatment is better for its ability to provide systemic effects. At other times, your vet may recommend combining Terramycin with an oral antibiotic, especially when there are concerns about the bacteria's resistance to treatment.